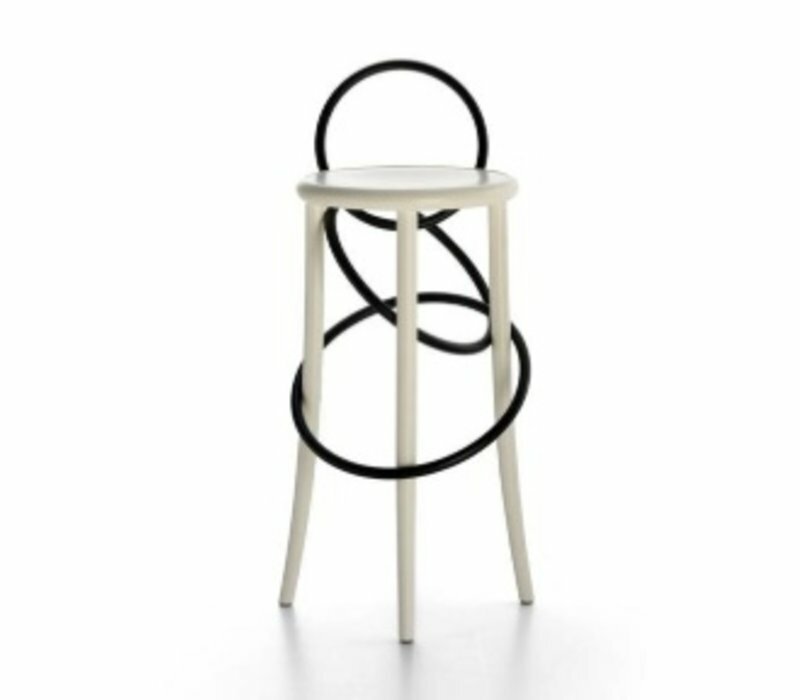 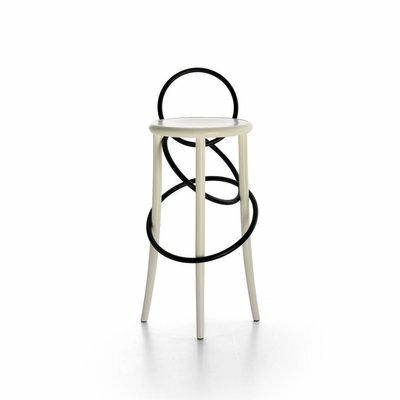 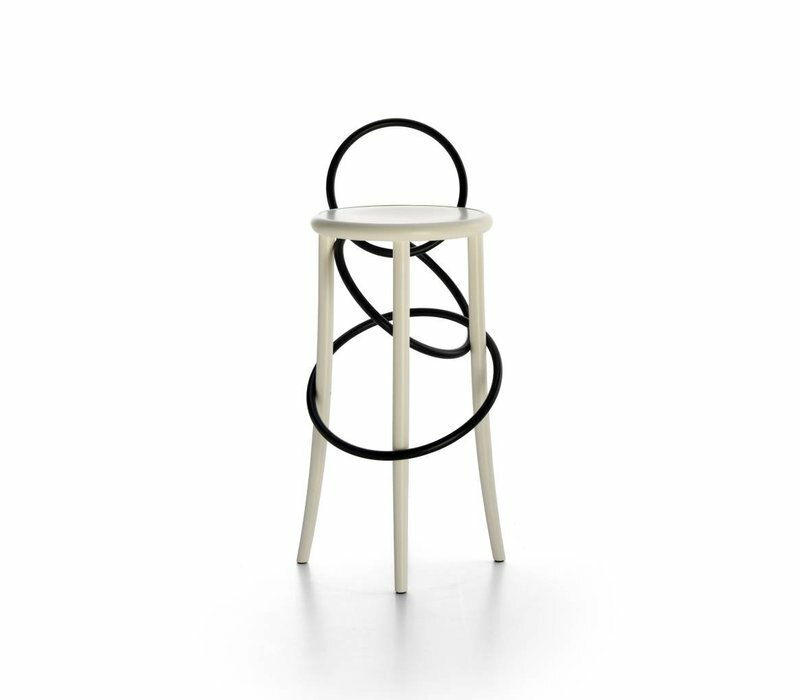 The playful circus theme is at the core of the "Cirque" family of stools designed by Martino Gamper for Gebruder Thonet Vienna. 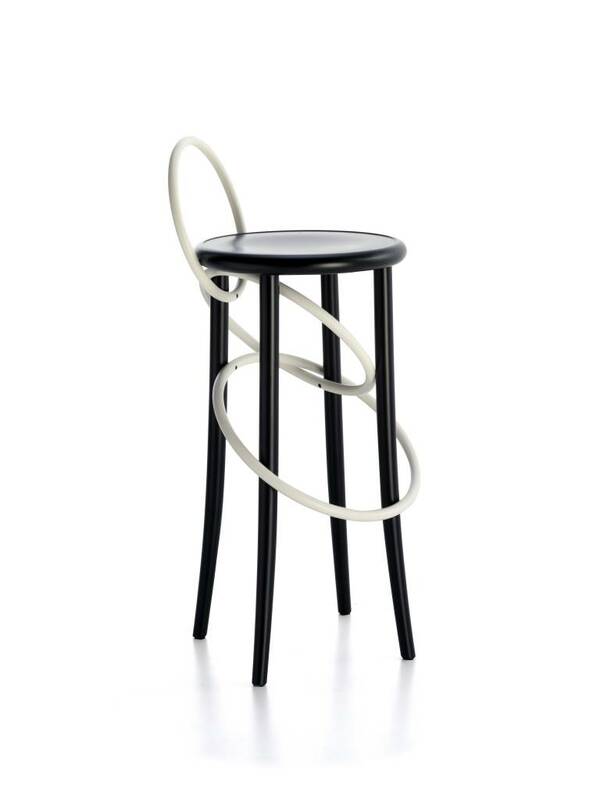 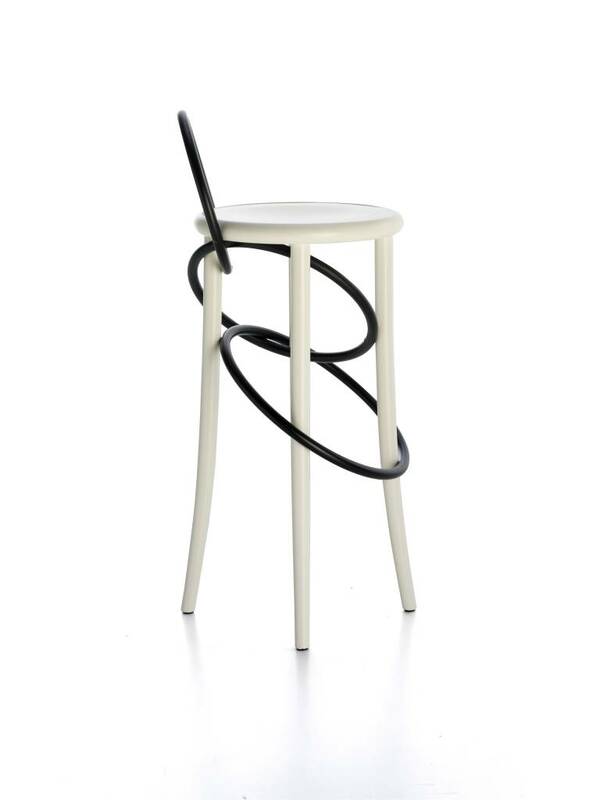 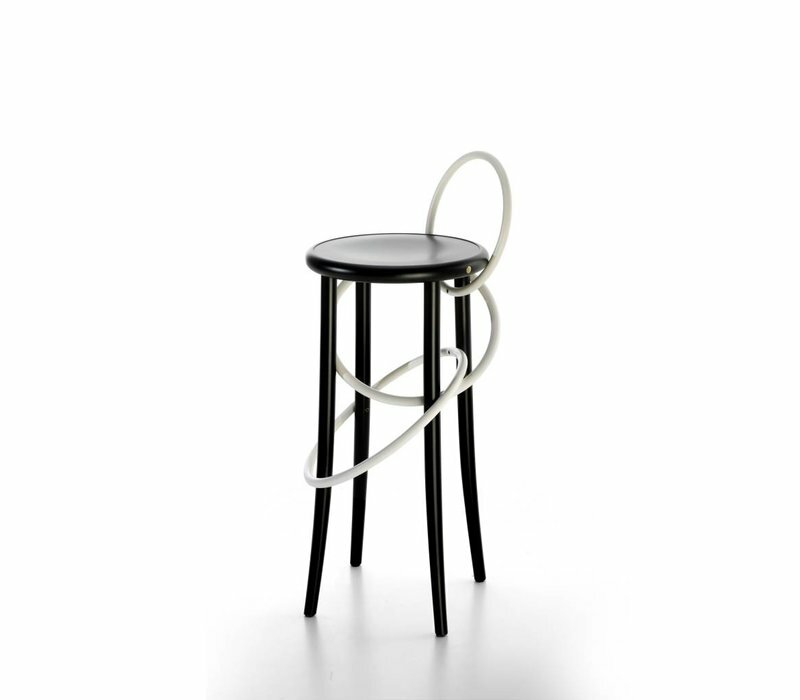 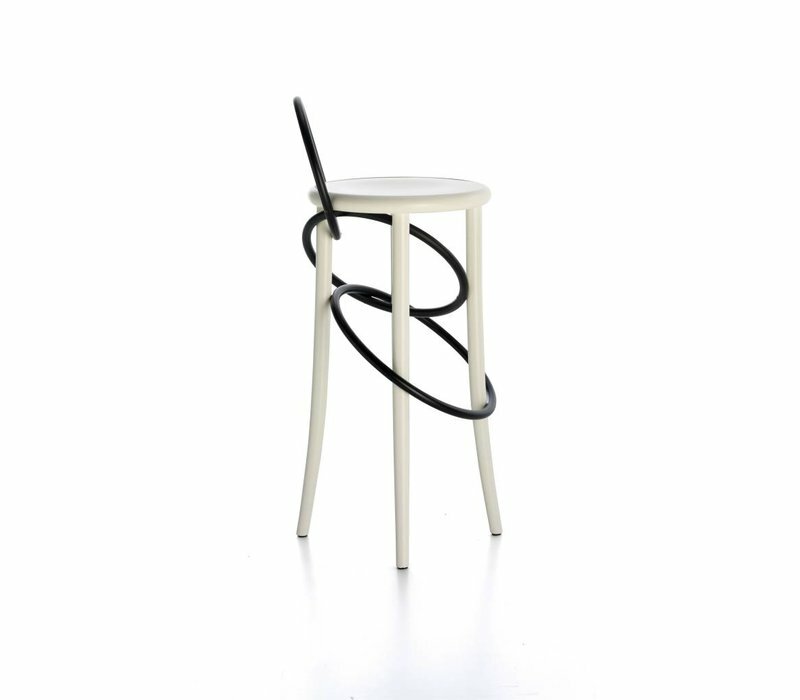 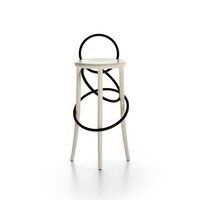 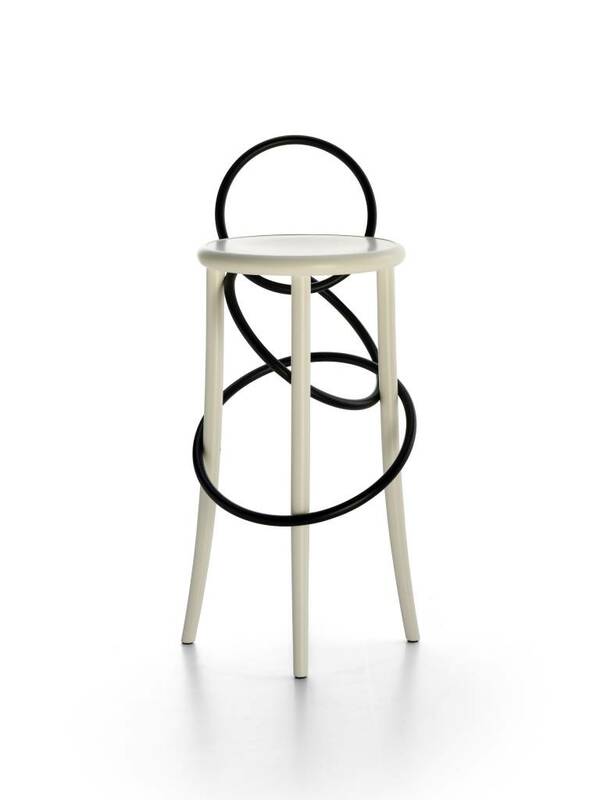 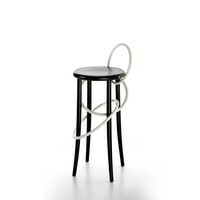 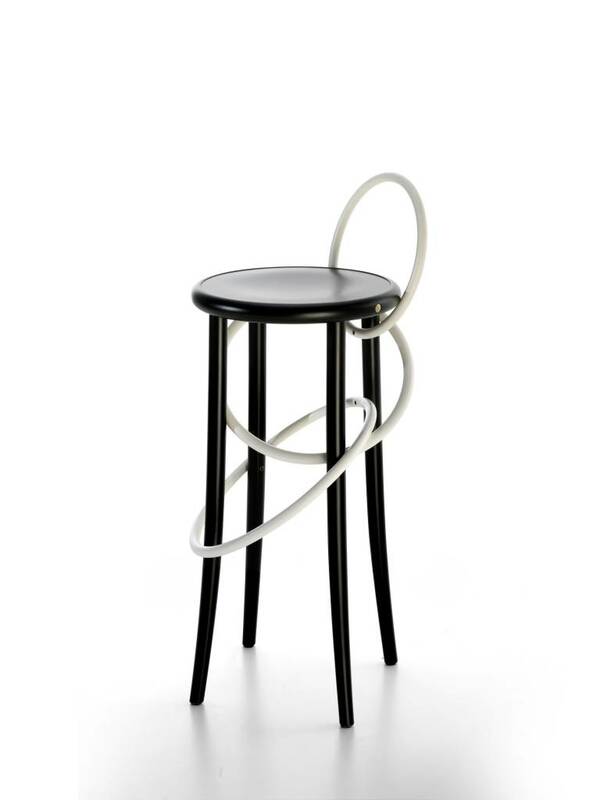 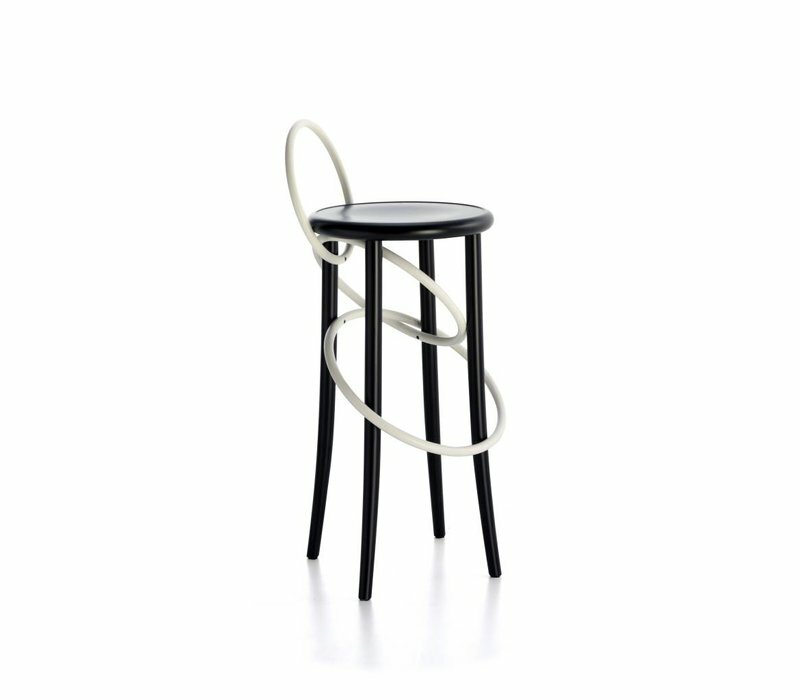 The brand signature trait, the bent wood is surprisingly and unexpectedly inserted in the base of the stool, forming the outline of the seat in the form of a chain comprising three wooden rings that loop around the full length of the stool legs. 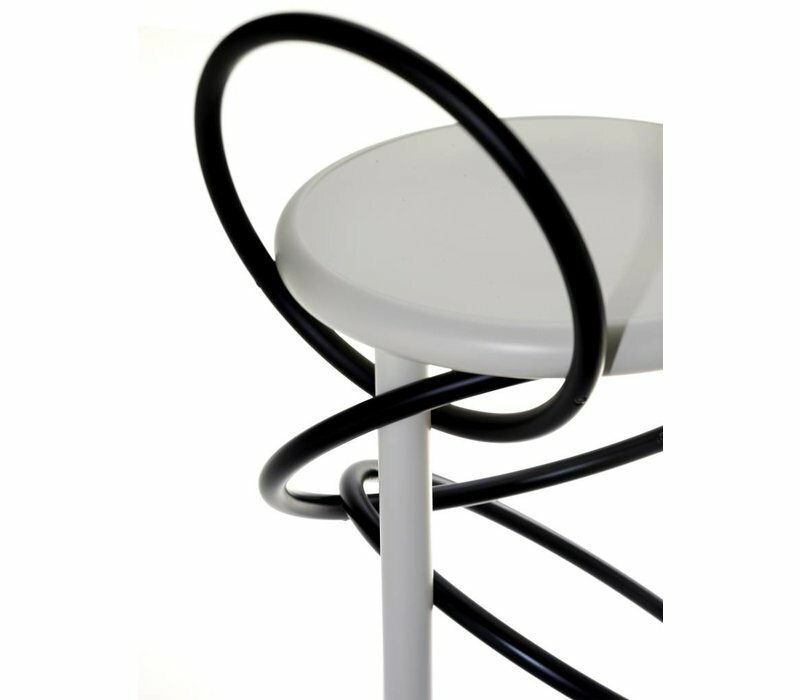 This striking styling effect blends in seamlessly with the functionality of the seat. 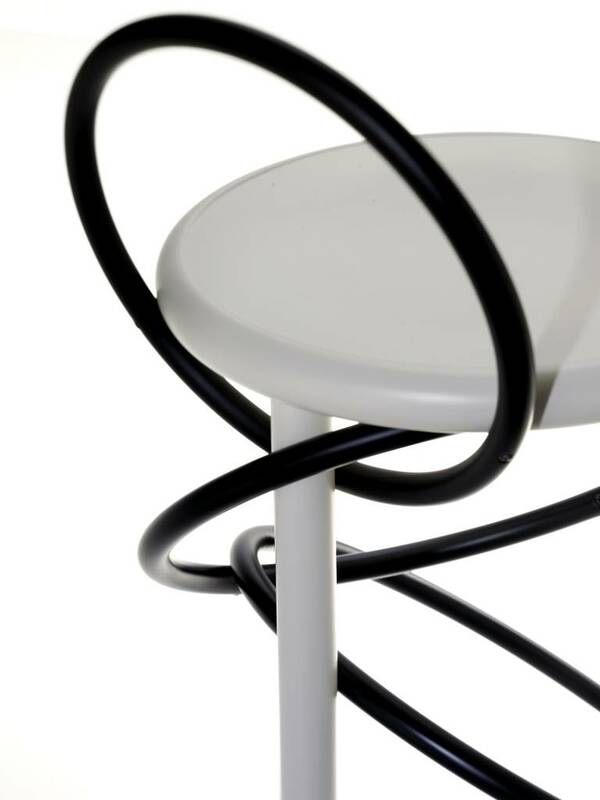 The tangible and intangible intrinsic value of Thonet is expressed in their high end brand Wiener GTV Design (Gebrueder Thonet Vienna), engraved on a coin embedded in the structure of each single piece: a precious detail that certifies authenticity, originality and flawless quality and high-level craftsmanship. 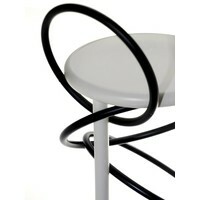 Dimensions: H 31" x W 17" x L 17"
This item is available is variety of colors and material. 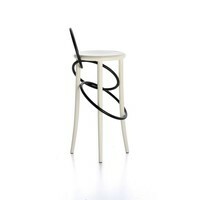 Also available with upholstered seat. 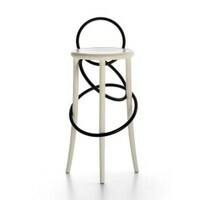 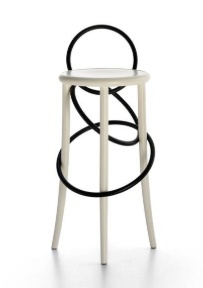 Also available as a low stool or a barstool without backrest. 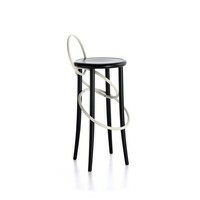 For more information contact us at contact@lappartementstore.com or by phone.